Fall has finally settled in. Leaves are turning from hues of golden yellows and cranberry reds to parched browns. The climate has changed from crisp and cool weather to windy and barren. Our skin is savoring its last ounce of hydration left from the summer humidity, knowing it will soon be stolen by the dry winter air. And while winter is a beautiful season- dry skin is not! Alas, our skin does not have to suffer from the dry winter climate with Osmosis's leading skin care products available at our fingertips that repair and reinvigorate all year-long! 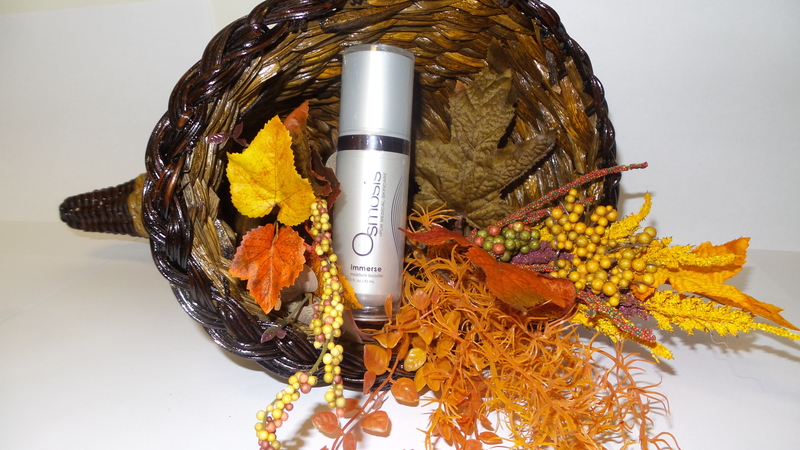 Osmosis Immerse is an intensive moisturizer, used to calm and soothe dry to very dry skin. We love it because it is an all-natural solution to our hydration headaches. Extracted blueberry and raspberry oils in combination with calendula infused oil provide anti-inflammatory support and natural restoration to your skin and its protective barrier. Aside from simply an intense moisturizer, barrier-restoring natural lipids in Osmosis Immerse promotes the healing of wounds. The product can also be great when used post-peels to restore any excessive dehydration from over-stimulation of the skin. “I’m always in search of a product that will give added moisture to my dry, delicate and sensitive skin. Now that I am in my early 40s, I want to make sure my skin is always hydrated to help prevent wrinkles. Osmosis Immerse is oil based, comes in a 1 oz. bottle, and has an easy-to-use pump. I like that the pump dispenses the perfect amount of product. The formula contains powerful antioxidant oils from blueberry seed and calendula... I love calendula and blueberry, so it was a perfect match!” (Miree, 2013). Whether for wrinkles, wound improvement, or dehydrated skin; the essential oils of lemon and lavender in combination with the natural ingredients found in Immerse contribute to your skins softer appearance and smooth glowing texture. A soft, hydrated complexion starts with great skin care through Osmosis Immerse!